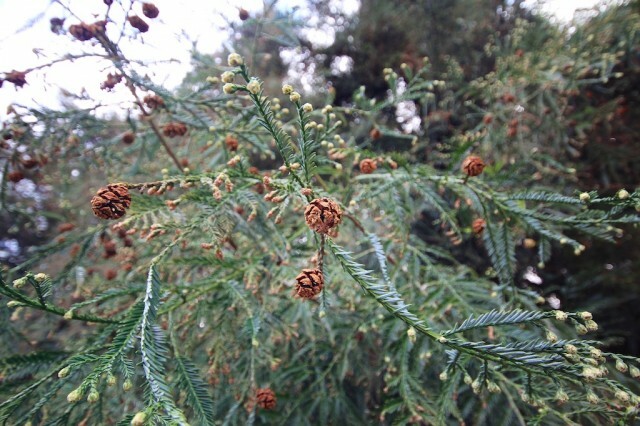 The coastal redwood, one of California’s most beautiful trees, usually is only found outside of Southern California. 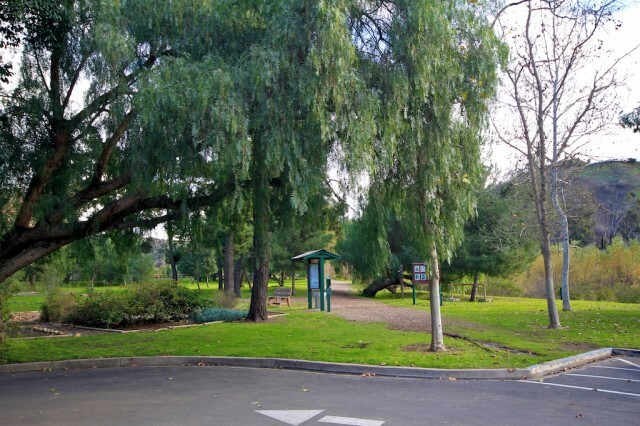 That is why I was shocked to hear that there is a small grove in a regional park in Yorba Linda. With this only being about 30 minutes from my house I hopped into the car to head out to this unique attraction. While they are not as big as any of their brothers up north, it is still beautiful to see these trees in our area. Here are the details to check it out for yourself. Park Hours: Fall – Winter Hours, 7 a.m. to 6 p.m. Spring-Summer Hours, 7 a.m. to 9 p.m. 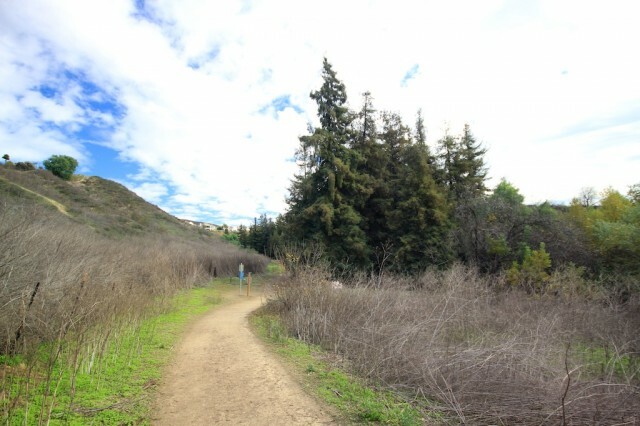 The land that is now Carbon Canyon Regional Park was settled in the early 19th century by farmers and ranchers, who established the village of Olinda in Carbon Canyon. Olinda boomed at the turn of the century with the discovery of oil in the area and thrived until the 1940s when the local oil fields began to shut down. It later merged with the nearby city of Randolph to form the city of Brea. 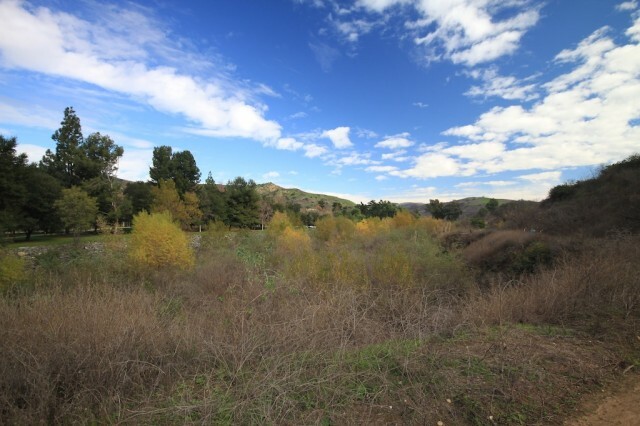 With the growth of Orange County after World War II, protection from flooding from the County’s many creeks, including Carbon Canyon Creek, became a major concern. 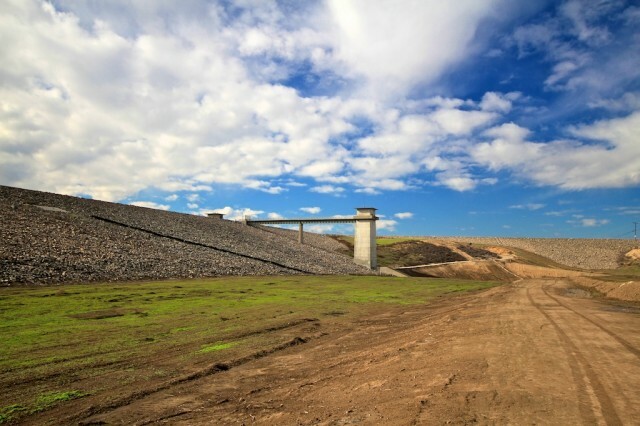 As a consequence, Carbon Canyon Dam was completed in 1961 by the U.S. Army Corps of Engineers. In 1974, 114 acres of land upstream from the dam was leased to the County by the Corps for the establishment of a regional park. 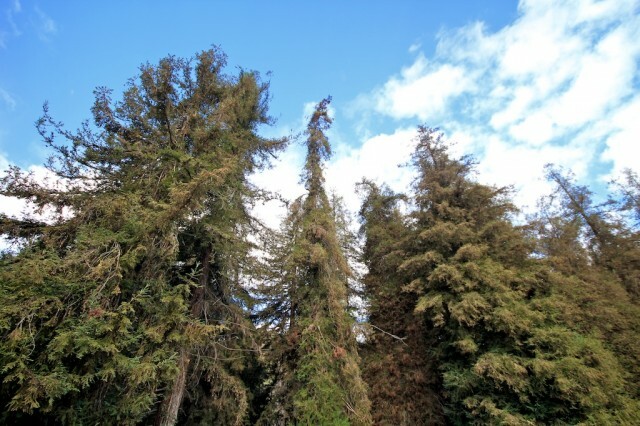 The park was opened to the public the following year, which was also when the redwoods were planted. After paying at the entrance station, you simply head all the way to the left, past the lake to the furthest lot, which is where the trailhead for the coastal redwoods starts. The trail meanders from here for about a mile passing some beautiful plants and a small creek. You will even be able to see the lake from the backside as you are walking the trail. 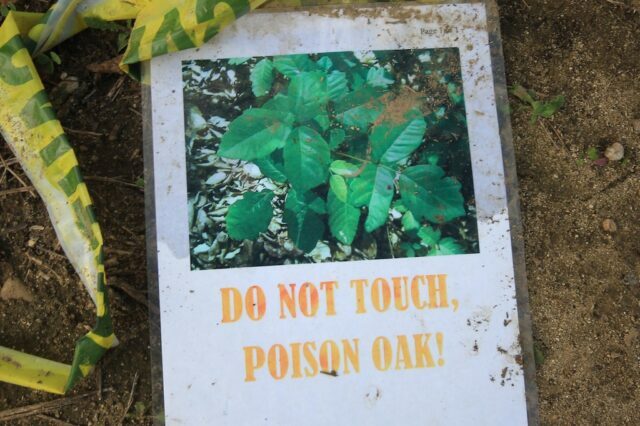 Be careful of the poison oak though, we saw many signs saying it was there but I didn’t see any plants that resembled the picture, so I am not sure how wide-spread it is. The trail itself does not have much elevation and is a nice walk to go on with the whole family. 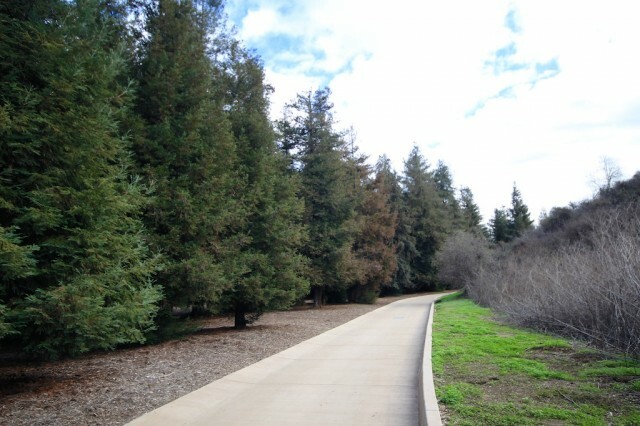 As you round the last bend, you will start to see the redwood grove. 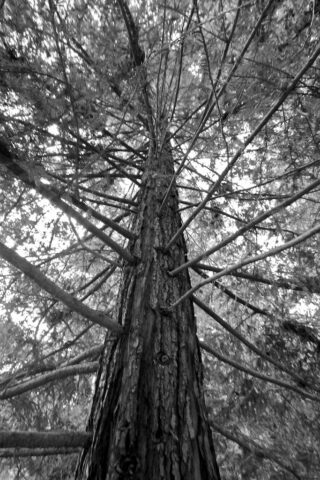 This large redwood grove has a bunch of trees in it that range from 40 to 70 feet tall. It is a beautiful thing to see with the juxtaposition of the trees and the desert foliage next to them. You can explore the trees to your heart’s content as there is a paved path that goes around the whole area or you can simply walk in and get a look of the trees up close. 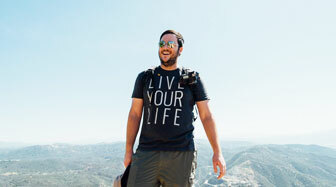 I loved being able to explore this area; it was a great find in the diverse Southern California landscape. 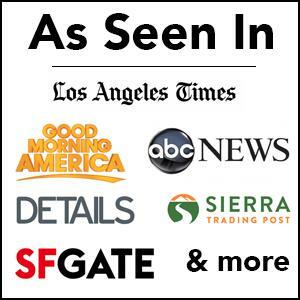 I plan to come back again with a guest to give them a taste of the redwoods up close. 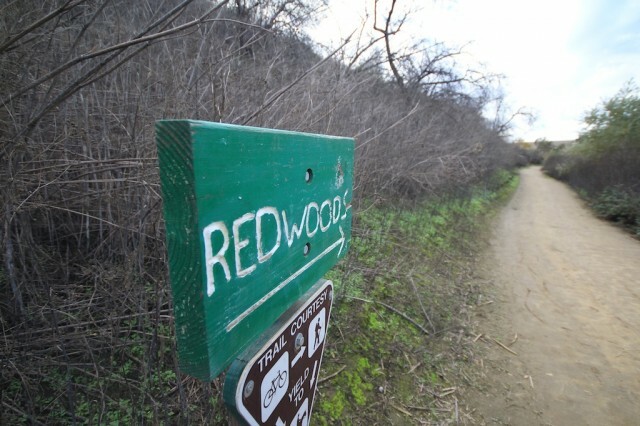 After completing the loop around the redwoods, you will be put back on a trail that walks by the Carbon Canyon Dam. This structure that was built in the 60’s is an excellent example of the construction during that era and provided protection from floods for the city that was developing during that time. I didn’t walk up to the top to explore it I just checked it out from below, but it was a cool addition to the trail. Also of note, as you are driving to this trail, you will see a lot of the oil drilling machines used in the oil history of this area. I enjoyed my time at Carbon Canyon Park and loved being able to see the redwoods up close. This is a great spot for the whole family, so if your family likes to explore, grab directions below. I even ran into my friends Greene Adventures when hiking this trail as well, always nice to see other bloggers on the trail.